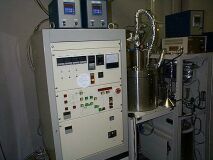 Full-automatic sputtering system for the formation of electrical insulator material, such as SiO2, for optoelectric devices. 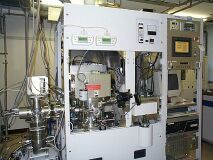 Dry etching system based on inductively coupled plasma for micro-fine patterns and smooth vertical walls of lightwave integrated circuits and optical devices. 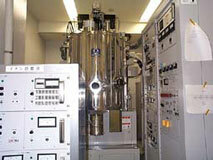 Self-designed AlAs selective oxidation system for fabricating current confinement in VCSELs. 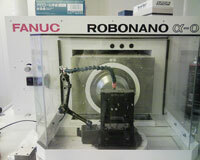 NC machine for nano-scale structure fabrication using lathe with five super precision axes. 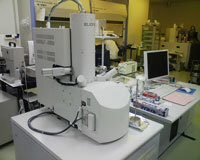 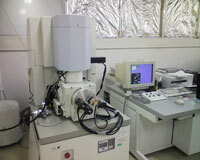 Atomic force scanning microscope (AFM) for observing quantum dots, epitaxial surface and micro-apertures. 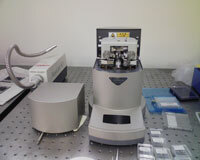 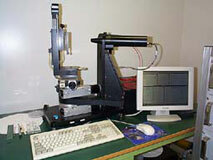 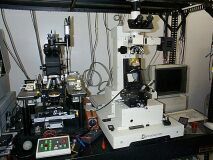 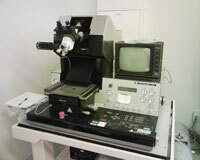 Laser characterization system for 2-dimensional VCSEL array. 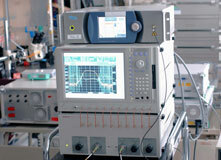 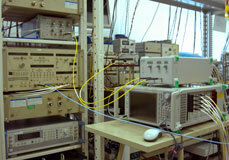 High speed (up to 40Gb/sec) bit error rate measuring system for lightwave communication. 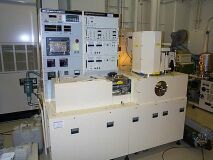 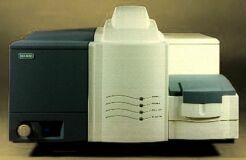 The optical network analyzer is used for measuring chromatic dispersion of an optical filter and a dispersion compensator consisting of a waveguide, dielectric multilayer, and so on.